At full time in an enthralling game here in Pune, Bengaluru FC have managed to come back from a 2 goal deficit in the last fifteen minutes of the game. The away side almost took the lead too in the last few moments, but DSK survived. The home team themsleves will be left to rue their lost chances, having hit the bar on three separate occassions during the game. Overall, DSK can take pride in their performance, while Albert Roca will be thankful for his side's late surge which halts Bengaluru's run of defeats. 90+2' SO CLOOOOOSE! Bengaluru FC have somehow been denied a third here. 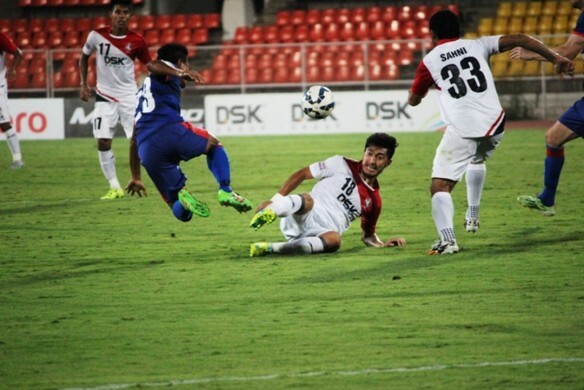 Lenny Rodrigues' shot smashed the bar before falling to Chhetri who took control of the ball before firing a shot. Subrata Paul turned back the clock to save his side there. 90+1' We're into 4 minutes of added time as DSK almost get back in the lead. Amrinder saves the day. 90' BFC push men forward as they earn a corner. And GOALLLLL! 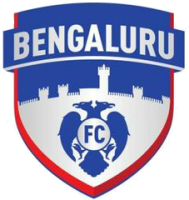 Salam Ranjan Singh jumps highest from Cameron Watson's corner to get Bengaluru on level terms late on. Incredible effort from the away side. 87' The stretcher is brought out as Sasha Kolunija goes down after a challenge. 85' Bengaluru FC conceding fouls in hopes of earning the ball back. 82' Some lovely dribbling from Sunil Chhetri results in a corner for the visitors. 79' Keegan Perreira goes off for Sena Ralte. The Blues are dominating the ball here but DSK staying resolute. 76' Bengaluru FC with renewed belief here as they look for an equaliser. DSK take Sumeet Passi off for Rohit Kumar. 74' GOALLLLL! Sunil Chhetri finds himself on goal on the left side and coolly slots past Subrata Paul to get his side back in the game. 71' Sumeet Passi is brought down. The BFC forwards are cutting a frustrated figure here in Pune. 69' Subrata Paul has hardly had a kick today, with Bengaluru struggling to put their best foot forward. 66' Newly introduced Seityasen almost provides a perfect cross for Song Yong. BFC survive. Eugeneson Lyngdoh goes off for Alwyn George. 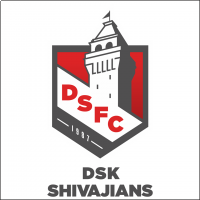 64' Substitution for DSK Shivajians. The goalscorer Holicharan Narzary is off for youngster Seityasen Singh. 61' DSK strike the bar a third time! A low cross in for Kim Song Yong looped up in the air, struck the bar before rolling away from danger. 58' More shambles in defence almost gifts a goal to DSK but 'keeper Amrinder Singh parries the ball away. 57' Daniel Lalhlimpuia comes on in place of Udanta Singh. 55' GOALLLLLL! DSK double their lead! The earlier free kick quickly turned into a counter attack for the hosts with Narzary charging through and calmly slotting the ball past Amrinder. It was Milan Singh who had played the No. 11 through. 54' BFC receive a free kick in a position of danger. Watson's ball in is poor and easily cleared though. 50' A follow up corner is volleyed wide from an impossible angle by Sunil Chhetri. 49' Nirmal Chettri is withdrawn for DSK as Sanju Pradhan makes his way in. BFC meanwhile have a free kick. The home team take a well deserved lead going into half time, having hit the bar twice through their Spanish midfieler Juan Quero. The Shivajians finally took the lead in the 40th minute through Narzary. The visitors were slow to start the game and have never really put a foothold in the first half. They'll need a big turnaround in the second half if they are to keep pace in the league table. 45' We're into 1 minute of added time. 43' Free kick in a threatening position for DSK almost ends up being a counter attack for the visitors but Nirmal Chettri mops up. 40' GOAAALLLL! 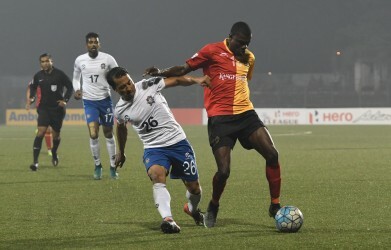 Holicharan Narzary makes full use of a confusion within the Bengaluru defence to go through on goal and poke the ball past an advancing Amrinder Singh. 35' Bengaluru somehow claw out a ball from the goal line with Sumeet Passi waiting on the line. Big chance goes begging. Song-Yong had broken the offside line but his ball across goal was cleared wonderfully by Keegan Perreira. 28' The hosts hit the bar again! Quero at the thick of the action again as he smashes a long shot on to the frame of the bar. 27' Bengaluru go close themselves with Lyngdoh's shot going inches away from the goal. 26' Drama here as the referee fails to halt play for offisde even though the linesman had raised his flag. Bengaluru players protest as they get lucky with Quero missing his attempt. 23' BFC swing in a free kick in the opposition half, with Keegan Perreira rising highest. The Shivajians get it cleared though. 21' Chances have been hard to come by for both teams as they look to have a sustained period in possession. 16' Nothing came of the free kick but BFC have been able to maintain some possession since. 14' Bengaluru have barely had a sniff in the early proceedings of the game, but they've earned a free kick in a dangerous wide position. 7' DSK have been pressing from the front, not allowing the Blues to take a breath so far. 3' DSK hit the bar! An attempted cross from Juan Quero loops over Amrinder in goal, but flicks the bar before being cleared. 2' It is DSK who've come out of the blocks quicker here, testing Bengaluru 'keeper Amrinder Singh through Narzary. 1' The visitors kick us off here at the Balewadi Sports Complex in Pune. 07:05 PM: The players are out, the formalities have been done with, and kick off is next. 06:50 PM: This game promises to be a great footballing spectacle, with both teams playing good offensive football, and both teams will be going for three points after defeats in their last games. The team line ups are out. The big news being the reutrn of veteran goalkeeper Subrata Paul, who makes his debut for the season for DSK. 06:30pm Hello and welcome to the I-League game between DSK Shivajisns and Bengaluru FC. This is your host Miqdad live from Belwadi Stadium.